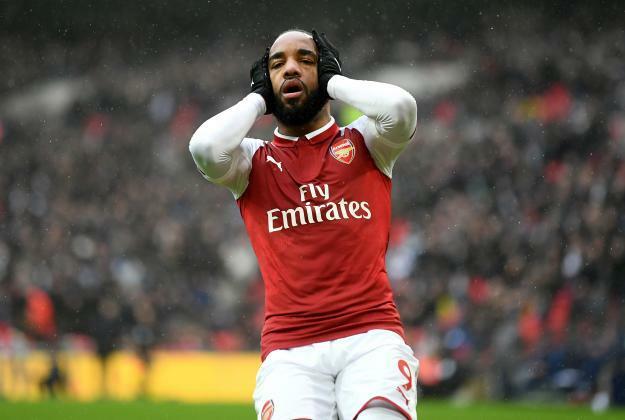 Former Arsenal record-signing Lacazette’s form continues to deepen match after match and his show in yesterday’s match against Tottenham in the North London derby is one to forget as he performed well-below his standard in a match which ended 1-0 in favour of the Lilywhites. Having scored nine goals so far this season, the Frenchman was saddled with the responsibility to get the goals for Wenger’s team but he didn’t look like a player who could carry such burden as he constantly missed clear-cut chances which should have helped the Gunners win matches. Having signed Aubameyang in January, Wenger sacrificed the out-of-form striker for the Gabonese striker in his starting lineup. After the match against Tottenham, former Manchester United player Rio Ferdinand advised the 26-year-old striker to fight for his place in Wenger’s first-team. He advised him via BT Sport that he needs to double his work-rate in training sessions so as to convince the French manager that he deserves a place in the team. Ferdinand believes player’s confidence grows with the number of games they play, so he urges the France international forward to get much playing time in order to boost his confidence level. Lacazette 26, moved to the Emirates stadium from Lyon in last summer transfer window but he hasn’t done much since the start of the season. He could return to Wenger’s lineup on Thursday when the team tackle Swedish side Ostersunds FK in Europa league round of 32.